After such a wonderful box last month, I think it was always going to be hard for GlossyBox to improve on that for this months box ♦. I must say, I'm more impressed than I expected to be but I still think last months box was the best so far. I do really love the hot pink box they've used for this special Valentine's theme, I think I even prefer it to the usual soft pink shade of the boxes! 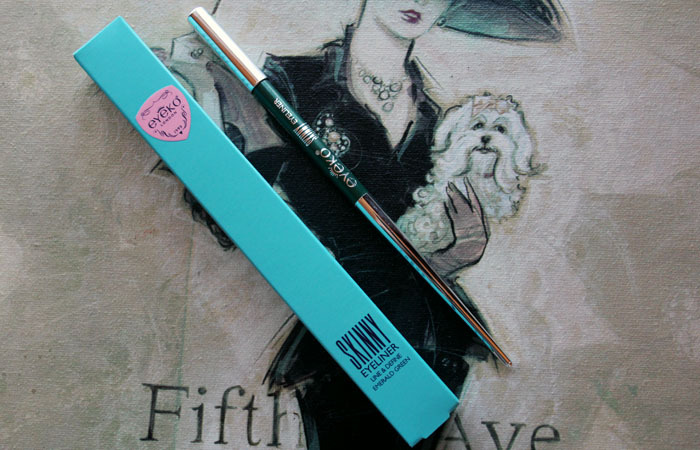 The first item I was drawn towards was the Eyeko Skinny Eyeliner and I received the shade Emerald Green. I can't lie and say I'm overly thrilled with this colour, in all honesty I will never use this and I was secretly hoping I would get the pale pink shade, but nevermind. The packaging of these seems to be a bit deceiving, the pencil looks really long but the pointed silver end doesn't appear to contain any product, making this liner quite a bit shorter than average. The pencil itself is pigmented, it doesn't drag along the skin in an unpleasant way and it smudges quite easily. To me this feels ever so slightly waxy, but I'm not a huge expert on pencil liners, and it smells quite like crayons. Overall this isn't a product for me, but everyone is different - you may adore this product! The full size pencil retails at £9.50. The second product that I picked out is the Murad Skin Perfecting Primer and it's promises of a dewy finish are pretty exciting to me because I'm sure everyone knows how much I love the Satin Primer from Illamasqua. This Murad primer is oil free and promises to ignite a radiant glow powered by light-enhancing minerals. This is a product I'm super excited to try out, my only reservation is that it seems to be slightly tinted but I'm hoping that it won't give too much colour to the skin because I am quite pale. The full size 30ml bottle retails for a fairly pricey, £29. 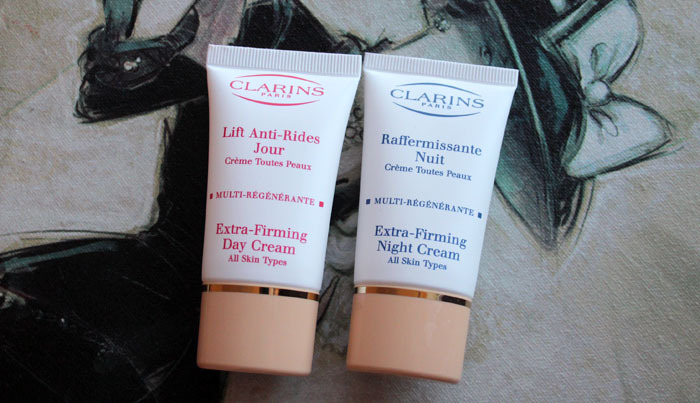 Clarins has always been a brand I've been drawn towards, their products get excellent reviews all the time so I'm not sure why I've never tried anything from the brand before. The Clarins Extra-Firming Day Cream promises to infuse the skin with firming benefits that are immediate and long lasting and I'm really excited to try this out. In my opinion it's never too early to start looking into product that promise to firm! The Clarins Extra-Firming Night Cream contains an intensive night time skin renewal complex and again, I'm looking forward to giving this a whirl. The only reservations I have with these are that they are for all skin types, so I'm unsure if these will be moisturising enough for my dry skin. Like I mentioned before, I've never really delved into Clarins as a brand so I'm not entirely sure what to expect. A full size 50ml jar of the Day Cream is £46.50 and a full size 50ml jar of the Night Cream is £48. Not cheap, but if they do the job then I'd say it's well worth the investment! 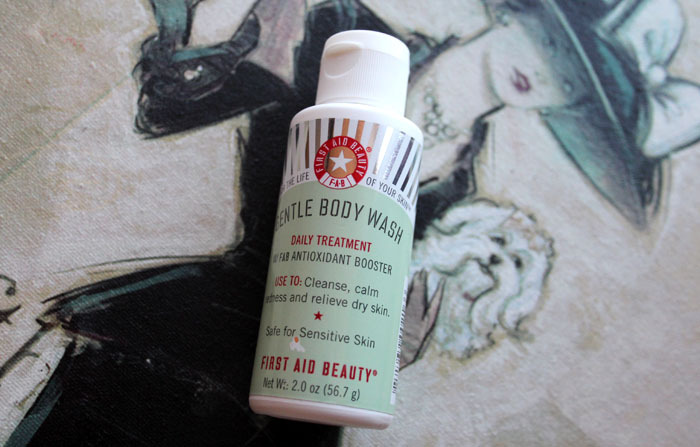 Finally, I've saved my favourite product for last and that is the FAB Gentle Body Wash. This is the only product I've really tried out so far and on first impressions I think this is a wonderful product. It's creamy in texture and doesn't have much of a scent to it making it perfect for sensitive skin. My skin feels especially soft after using this and also very moisturised. I have already been perusing the rest of the range on the Boots website and I feel some purchases are going to be made very soon. This is a brand that appeals to me because they don't include harsh chemicals or known irritants in their products and I'm definitely intrigued by the Anti-Redness Serum and the Facial Radiance Pads! The full size 226g or 8oz Body Wash retails for £10. Overall, I'm pretty impressed and think there are some really lovely products in this months box. Admittedly I would have liked this Valentine's box to have had a pretty pink lipstick, blush or even nail polish in it because I know those are the kinds of colours I'll be opting for this Valentine's Day and that would have got more love from me than the Eyeko eyeliner! 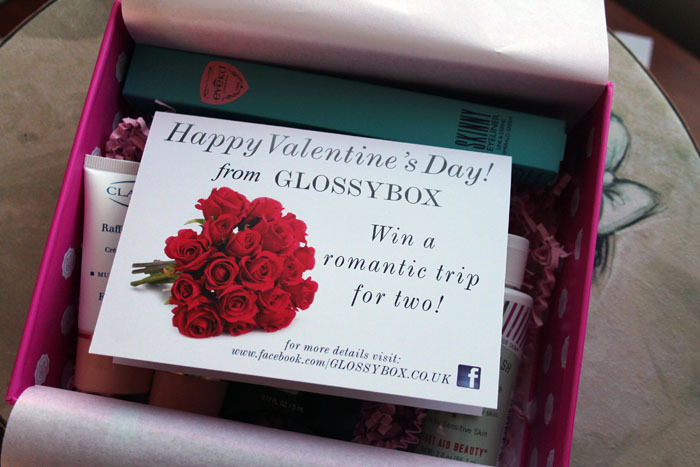 What do you think of this months GlossyBox? 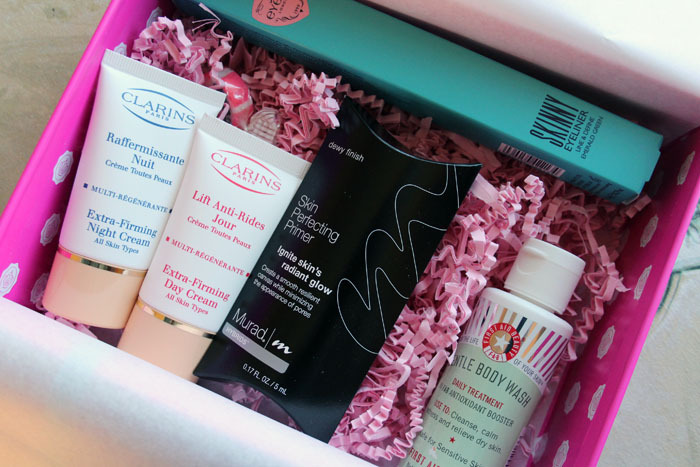 Are you subscribed to any beauty boxes? I can't subscribe to these because I'm currently living in South Korea. Would do if I was at home in England though. I think this box is okay, I quite like the eye colour actually but I don't know how I'd wear it. i would love to try out those clarins products - they look fantastic. i'm always searching for new skin care items (and i've also never tried clarins, though i agree, they always have great reviews)! I got my box today at work, which always creates a bit of interest from the other guys and girls in the office!! I received a plum coloured eye-liner and I got a red nail varnish from ORLY and a cleanser/toner by WELEDA. I would have prefered the clarins products but oh well...these are obviously matched to my beauty profile answers. Let us know how you get on with the Clarins products. These products all look really fantastic. 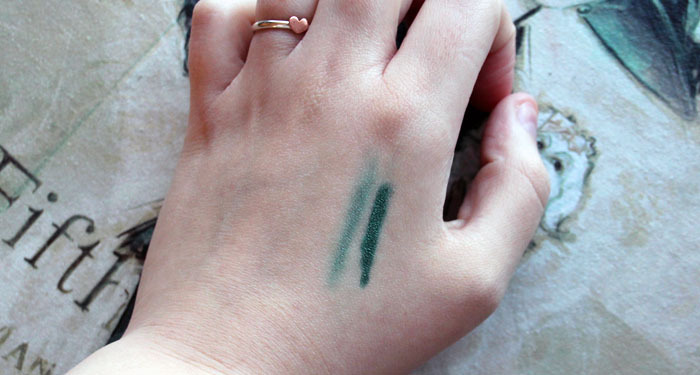 I wouldn't be thrilled about the green eyeliner either - pretty unwearable colour I think. I have never been able to pull of green on my eyes but I am sure some people could pull it off well. This is my first glossybox, I subscribed via Quidco and got £4 cashback. I think I prefer the Carmine one at the moment. I received the pale pink eyeliner, but would have loved the green one - I am willing to swap if you like! Ahhh I missed mine today so got to get my mum to pick it up tomorrow!I think maybe some pink themed products would be lovely too, I like it when things stick to theme! Maybe more pamper products would have been nice too? Can't wait to see what goodies i've got! 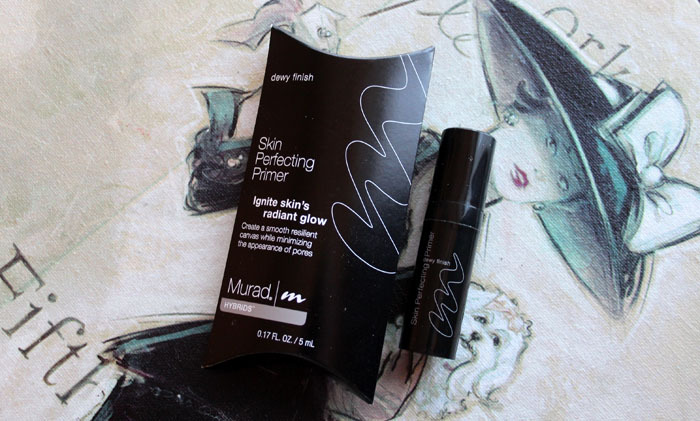 I'm really looking forward to trying out the primer properly, I'm always on the lookout for the perfect perfect primer and this one sounds like it will be quite good! Unfortunately I didn't get the Clarins products in my box, would have really liked to try them out. I would have liked to see some pink lipstick or something too, but overall I think this was quite a good box! Where did you get your little ring with the heart on it? I love it !